The Grand Mayan Los Cabos Resort, Mexico! Buy a 7 Night Stay in a Studio Unit! 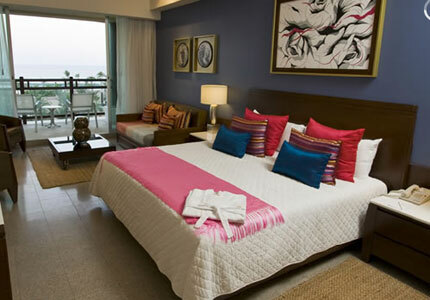 Enjoy a 7 Night Stay in a Master Room at The Grand Mayan Cabos Resort in San Jose Del Cabo, Mexico! Located at the southern tip of the Baja Peninsula in Los Cabos, this enchanted retreat boasts an endless variety of activities with the perfect blend of intimacy and relaxation. It features a full-service, world-class health spa with beauty treatments, sauna, steam room, Jacuzzi, and fitness complex; plus a clubhouse with nine-hole, par-35 golf course. You’ll love the large reflection pool that leads to a pristine golden beach; and fine international restaurants. This impressive construction is completely integrated into the natural landscape. If you’re looking for great accommodations nestled in lovely landscaping, this is the place for you, The grounds are always very well maintained. The staff are truly outstanding in all other ways as well. 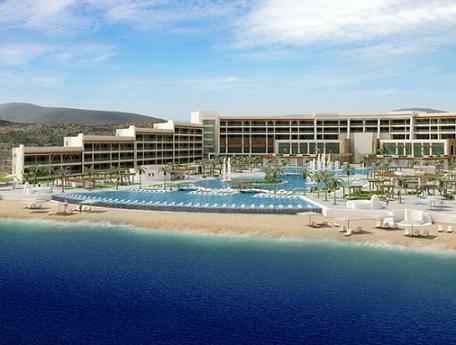 All units at the Grand Mayan Los Cabos have air-conditioning and telephone. Many have kitchenettes with microwaves. Studio (Master Room): The Master Room features a king-size bed, one bathroom with Jacuzzi tub, LCD television, and terrace with a view. Accommodates 2 adults and 2 children.